Contact dermatitis. 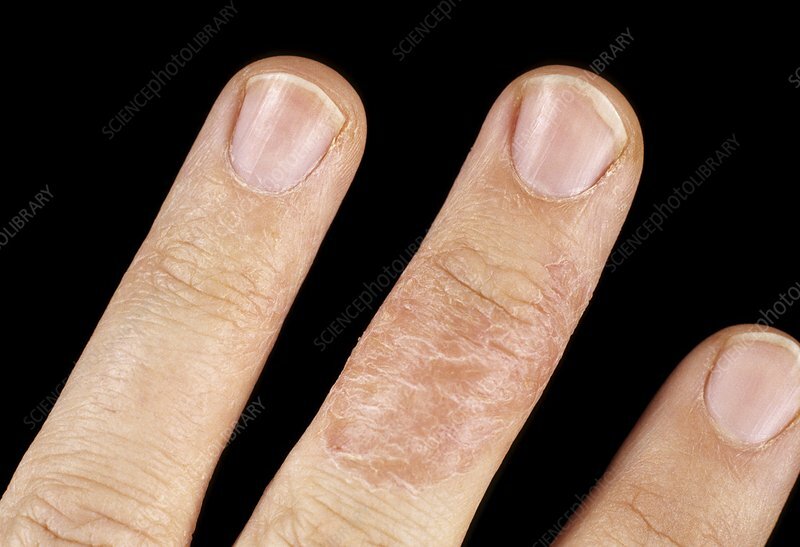 View of a rash (lower centre) on a finger due to contact dermatitis. Dermatitis is an inflammation of the skin, which may be accompanied, as here, by a red, itching rash. Contact dermatitis may be due to an allergy or toxic reaction to touching a substance. Treatment is with corticosteroid drugs, although avoidance of the offending substance is the best option.